LITTLE ROCK — Longtime educator and social justice advocate Dr. Jesse Hargrove has been appointed to the Black History Commission of Arkansas. He replaces Dr. John Graves. The commission seeks to collect materials on Arkansas’s black history and its history-makers to raise awareness of the contributions and impact of black Arkansans on the state’s history. The commission also is charged with promoting teaching black history in schools statewide. Members are appointed by the governor and are: Hargrove, of Alexander; Patricia Johnson, of Pocahontas; Rev. Frank H. Stewart, of Conway; Elise Hampton, of Conway; Myron Jackson, of Little Rock, Dr. Cherrise Jones Branch, of Jonesboro; and Carla Hines Coleman, of Little Rock. Hargrove is a tenure-track, associate professor of Spanish at Philander Smith College, where he has been employed in various roles since 1999. He is the author of “The Best Poetry in America,” published in 2010, and “Closing the Achievement Gap in America: A National Imperative for A Super Man, A Super Woman and A Superintendent,” a 2011 publication that discusses how best to help students in minority groups achieve equal academic success. Hargrove also wrote “The Legacy of Celia Adams,” a book published in 2014 that focuses on the lasting legacy of slavery and its effect on his family and others. 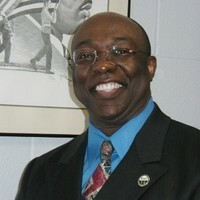 Hargrove earned his bachelor’s degree in 1975, master’s degree in 1977 and PhD in 1983. He taught sixth and eighth graders Spanish in 1998 and 1999. Before that, he was dean of African American Students and director of the Dr. Martin Luther King Jr. Student Center at the University of Arizona from 1989 to 1997. Hargrove also has served as chairman of the Teacher Education Committee and as the teacher licensure officer at Philander Smith College. Hargrove served 11 years on the state education department’s Arkansas Commission on Closing the Academic Achievement Gap from 2004 to 2015. Hargrove said he has been an advocate for African American history for decades. In 1992, former U.S. Sen. John McCain asked Hargrove to testify before a federal committee to advocate for a national museum for African American heritage. It took another 25 years of advocacy before Congress passed legislation to open the National Museum of African American History and Culture in Washington, D.C., Hargrove said. The commission will meet next at noon Thursday, Nov. 8, at the Arkansas State Archives at 1 Capitol Mall in Little Rock. The meeting is open to the public. Gov. Asa Hutchinson has proclaimed October as Archives Month to spotlight the importance of preserving Arkansas’s past, and the Arkansas State Archives plans multiple events during the month. “October, Archives Month — that’s a great time to be an archivist,” said Dr. Wendy Richter, Arkansas historian and director of the Arkansas State Archives. Without the Arkansas State Archives, much of Arkansas’s history would be lost. Staff have toured counties across the state to collect and preserve materials and make them more accessible to the public. Preserving history is at the heart of what the Arkansas State Archives does. Volunteers in Hempstead County, for example, recently sorted through historic documents to help archivists discover and preserve important information, including information on slavery in Arkansas. In another example, the L.C. Gulley collection has priceless documents that attest to the formative years of Arkansas. Those documents were nearly lost when workers planned to move the state Capitol to a new building in 1912, but L.C. Gulley, whose job it was to gather old papers for recycling in St. Louis, dug through piles of paper and found letters from territorial governors to Native Americans on the Trail of Tears and records about the political development of the state. Gulley later donated those records to Arkansas State Archives. The Arkansas State Archives has been preserving material for more than 100 years. The agency was founded as the Arkansas History Commission in 1905, when people were concerned that documents relating to Arkansas during the Civil War would be lost. The commission’s name changed to Arkansas State Archives and became a division of the Department of Arkansas Heritage in 2016. The Arkansas State Archives will present two half-day genealogy workshops in October as part of celebrating Archives Month. The Northeast Arkansas Regional Archives (NEARA) will host a workshop from 10 a.m. until noon Saturday, Oct. 6, at the Powhatan Male and Female Academy at 11 Seventh St. in Powhatan. 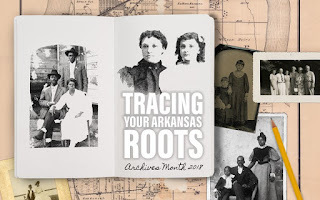 The Southwest Arkansas Regional Archives (SARA) will present another workshop, “Tracing Your Arkansas Roots: Genealogy 101,” from 9 a.m. to noon Saturday, Oct. 13, at the Works Progress Administration Gym at Historic Washington State Park at 100 Morrison St. in Washington. “These half-day workshops will help Arkansans discover their family histories and the depths of their Arkansas roots,” said Stacy Hurst, director of the Department of Arkansas Heritage. The workshops are a chance for people of all skill-levels to learn more about how to research family history, said Dr. Wendy Richter, state historian and director of the Arkansas State Archives. At the NEARA workshop, Archival Manager Meredith McFadden will give genealogy tips and showcase available resources. Special speaker Kermit Channell, Arkansas State Crime Laboratory executive director, then will talk about DNA and its use in genealogy research. At the SARA workshop, Archival Manager Melissa Nesbitt will present “Behind the Scenes: How to Start Researching Your Family History." Then, professional genealogist and special speaker Thea Baker will discuss “Document Analysis for the Beginning Genealogist.” Baker is an expert in tracing family ancestry and does research for television shows related to genealogy. Also at SARA, special speaker Sue Bennett, who is curator of the Visual Resources Library at the University of Central Arkansas, will present “Hitting the Road: Where to Go, What to Pack and How to Plan Your Genealogy Road Trip.” The library provides images for classroom use, study and research and holds collections including historical images. Teachers going to the NEARA workshop also have the opportunity to earn two professional development hours for attending. Attendees at both workshops can get help with research projects after the presentations. Both the SARA and NEARA workshops are free, but registration is required at https://saragenealogy101.eventbrite.com and at https://nearagenealogy101.eventbrite.com, respectively. Light refreshments will be provided at both events, and attendees will have the chance to win door prizes from Ancestry.com. Meredith McFadden, archival manager for the Northeast Arkansas Regional Archives, recently passed the Academy of Certified Archivists exam, making her the only certified archivist on staff at a branch. The Academy of Certified Archivists, which is an independent, nonprofit organization that certifies professional archivists, administers its exam annually during the Society of American Archivists summer conference. Applicants must have a master’s degree in progress or completed to qualify to take the test. McFadden joins four other current or former Arkansas State Archives employees who have been certified by the academy over the past 30 years. Dr. Richter is the only other employee currently on staff who has been certified previously. McFadden studied an extensive list of archival literature for several months leading up to the Aug. 15 test date. The test is offered to qualified candidates to assess their knowledge on a wide breadth of information including archival history, theory, best practices and situational response. The exam is one of the very few professional certifications available in the archival field. At least five other Arkansas State Archives staff members plan to seek certification to continue the agency’s growth and quality of service for Arkansas residents. The test includes knowledge of legal aspects of archives, marketing-reference services and preservation methods. Certification strengthens the archival profession by promoting best practices to ensure important historical items are better preserved and more readily accessible to residents. Congratulations Meredith McFadden and best of luck to next year’s candidates! Poetry enriches lives in a way other writings cannot. 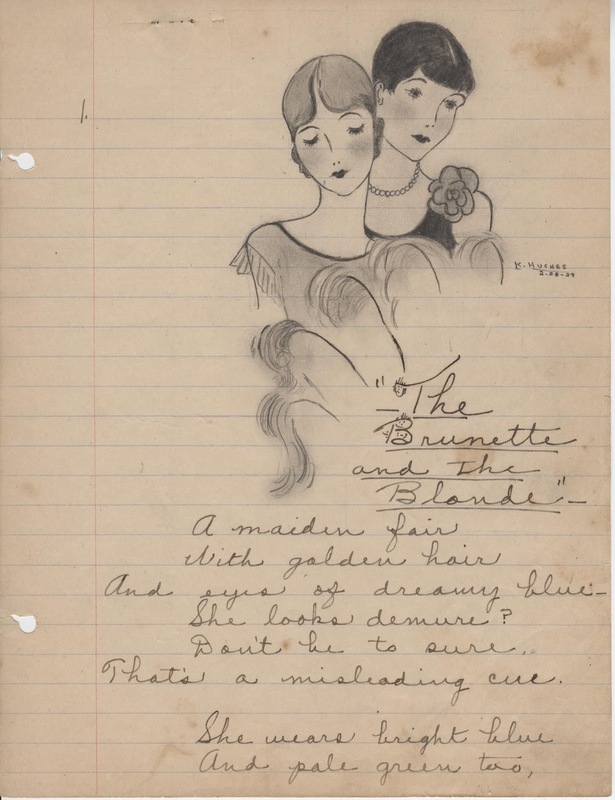 The Southwest Arkansas Regional Archives (SARA) holds collections by Arkansas poets, including a collection from an educator who lived in Polk County. The regional branch has a poetry journal and some original sketches by Kittie (Kitty) L. Hughes from the late 1920s. A native of Oklahoma, Hughes moved to Vandervoort, Polk County, as a young girl. Records show she was the only child of Rivers and Cena Hughes. Hughes was an educator, whose teaching career began in 1927 before she graduated Vandervoort School in 1933. Hughes attended college in Magnolia during the summers and completed her bachelor’s degree in education at Southeastern Oklahoma State University in 1949. She earned a master’s degree from the University of Arkansas in 1952. Hughes served as principal at Vandervoort School in the 1960s and taught fifth and sixth grades. She was a teacher for about 45 years with the last 28 years spent at Vandervoort School. It’s unclear whether Hughes published her work anywhere. Hughes never married. She died in 1989 and is buried in Witherspoon Cemetery in Vandervoort. 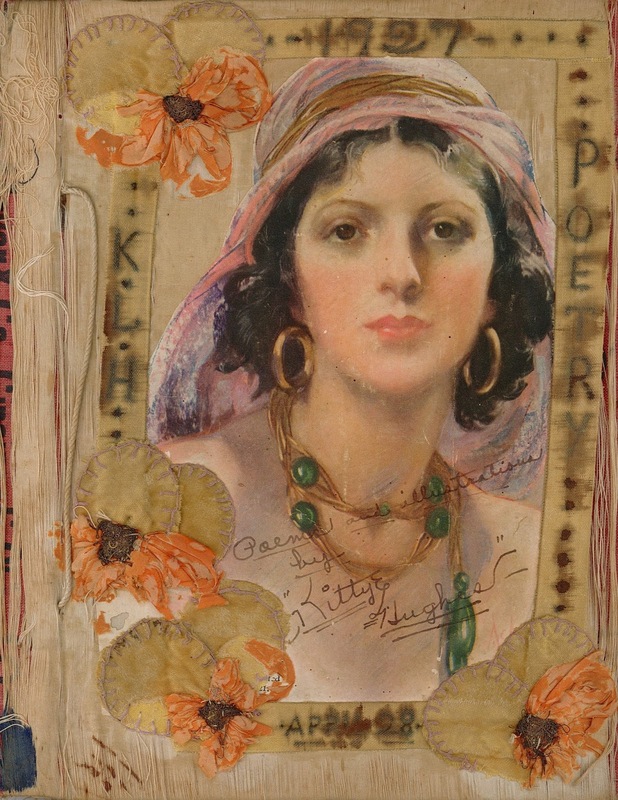 Poetry held at SARA is a small part of its collections, but the Arkansas State Archives collects a wide variety of material pertaining to Arkansas. The Hughes collection represents part of the history of Polk County, which was originally part of Hempstead County. As one of Arkansas’s earliest counties, Hempstead County was established in 1818, prior to the creation of the Arkansas Territory in 1819. SARA is celebrating Hempstead County’s bicentennial this year and is spotlighting information from all 12 counties in its focus region. Those counties are: Columbia, Hempstead, Howard, Lafayette, Little River, Miller, Nevada, Ouachita, Pike, Polk, Sevier and Union. Polk County is named after U.S. President James K. Polk, whose vice president, George Dallas, gave his name to the first county seat of Dallas. Unfortunately, the county’s first two courthouses burned in 1869 and 1883, destroying much of Polk County’s records. The county has lost a large amount of its early history. Polk County was originally formed by carving property from 11 counties that once formed Hempstead County. In 1844, Polk County consisted only of land formerly part of Sevier County, which also was formed from Hempstead County. Polk County eventually gained land from Montgomery, Scott and Pike counties and later ceded land to Howard County. Existing records show the railroad figured prominently in Polk County’s history after Arthur Stillwell constructed his Kansas City Southern Lines in the late 19th century. Towns such as Mena and Vandervoort took their names from family members of Stillwell’s Dutch investors. SARA continues to solicit donations of original materials for its Polk County collections. Hughes journal and sketches represent original materials from Polk County, where such records are limited. For more information or to contribute to SARA, contact Archival Manager Melissa Nesbitt at southwest.archives@arkansas.gov or 870-983-2633. Records consist of reports required by the Arkansas Secretary of State for campaign contributions, expenditures, and carryover funds of state and district candidates for 2002 - 2006. John Caldwell Brickey was born on February 9, 1799, in Davidson County, Tennessee, to John and Jemimah Caldwell Brickey. On February 24, 1822, he married Catharine Murrah, the daughter of Bernard and Agnes Murrah, in Washington County, Missouri. Brickey ventured into several career fields in Missouri, including serving as the Washington County Circuit Clerk from 1821 – 1842, practicing law, mining lead ore, partnering in a general store, and founding the Brickey’s Landing. In 1844, he moved to Independence County, Arkansas, and joined the White River Baptist Association, serving as the organization’s secretary from 1850 – 1856. In 1866, Brickey was elected to the Arkansas Legislature. He died on August 13, 1877, in Independence County. This collection contains the autobiography of John C. Brickey, the White River Baptist convention minutes covering 1850 – 1856, and a Brickey family genealogical pedigree chart. Donated by Sheri Lynn Tucker Griffin, Peyton, Colorado, 2008.